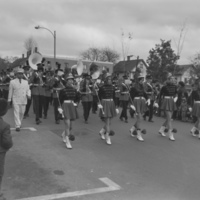 Maynard High School Marching Band in a parade. Music director Charles Garabedian is in the white uniform on left. 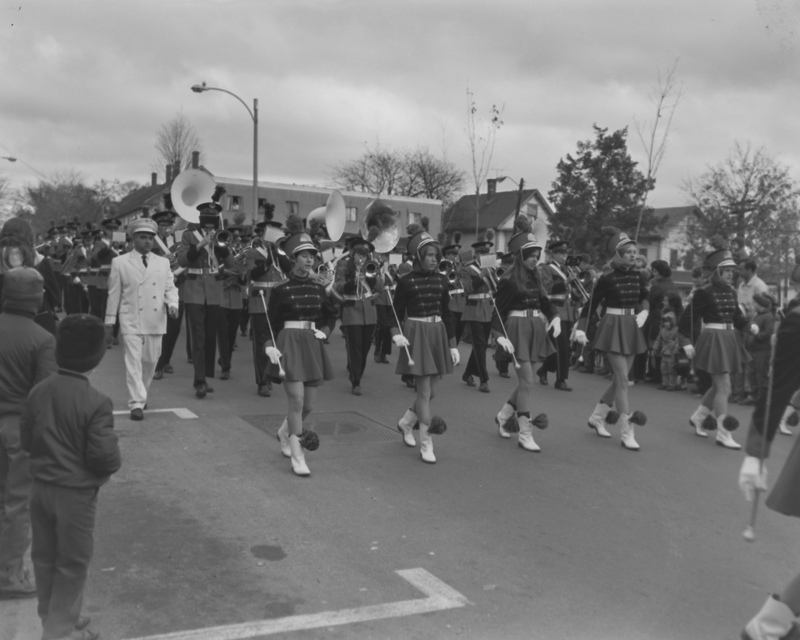 Oliver (Swat) Warila, “MHS Band in a parade,” Maynard Historical Society Archives, accessed April 23, 2019, http://collection.maynardhistory.org/items/show/4595.